The Central Arizona Project pulls water from the Colorado River to provide for the cities of Phoenix and Tucscon. 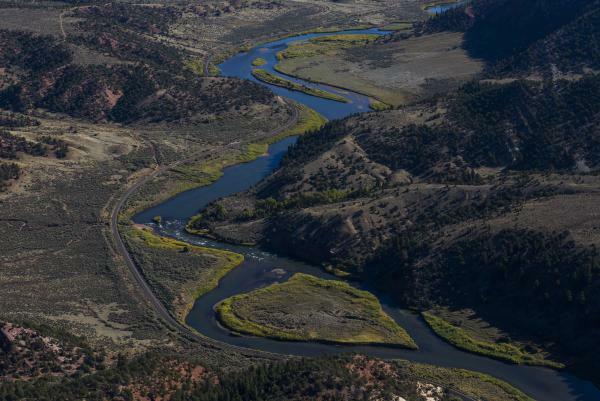 KUNC's Luke Runyon and KJZZ's Bret Jaspers break down proposed plans for the Colorado River. Pat Tyrrell says at the moment, Upper Basin water managers are just concerned with creating the savings account, and aren’t prepared to start talking details about how to fill it. Another pressure point is the weather. It was the unprecedented dry conditions that forced water managers to the table to come up with the 2007 guidelines, and then again to form the Drought Contingency Plans. The 2018 water year -- from Oct. 1 2017 to Sept. 30 2018 -- wrapped up as one of the driest on record for the entire Colorado River Basin. Editor's Note: This story was updated (Oct. 31) to clarify that two Western Slope water agencies are prepared to hold up the Drought Contigency Plan, not one.